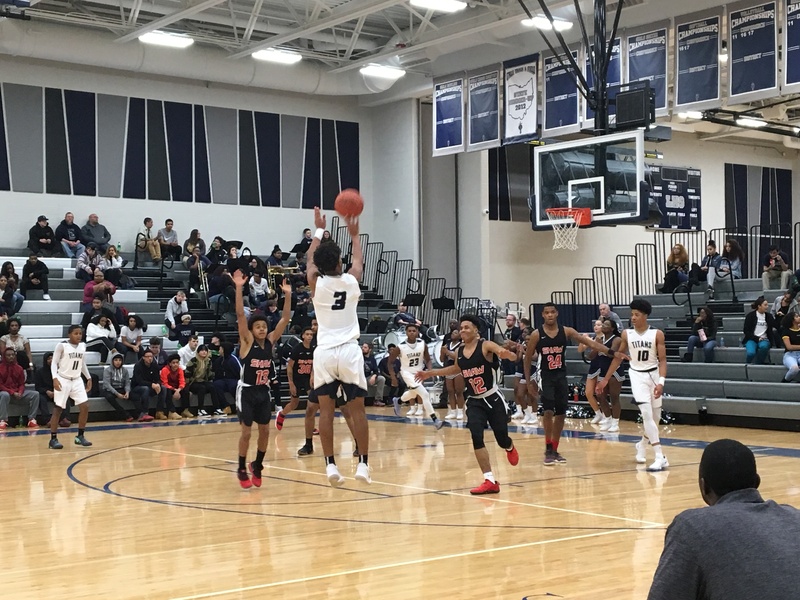 LORAIN, OHIO– The Lorain Titans used a stifling full-court press and balanced scoring attack to overwhelm the Shaw Cardinals early, and walk away with a 78-65 win. The Titans started the first quarter on an 8-2 run, thanks to back-to-back 3-pointers from Jordan Jackson followed by a layup from Devon Grant. While Shaw countered with a 5-0 run courtesy of Emmanuel Perdue, the Titans closed out the quarter on a 13-2 run thanks in large part to their full-court man-to-man pressure. In the second quarter, the Titans continued to look to trap in the full court. Grant led the offensive charge scoring eight of his game-high 22 points in the frame. At the end of the half, the Titans’ lead ballooned to 21 points. One big missing piece in the Titans offense through the first half was Taevon Pierre-Louis, who got into foul trouble early. He made up for that in the opening minutes of the third quarter, scoring nine of Lorain’s first 11 points in the first 2:40 of the second half. He would be called for his fifth foul just minutes later, however, and was forced to exit the game. Paced by Pierre-Louis’ effort in the third, the Titans would go up by as many as 31 after a layup in transition from Jaiden Sledge, and ended the frame up 63-37. The Cardinals, to their credit, would not go away no matter how large the deficit. They continued to use their full court press for the entirety of the fourth quarter, and went on to outscore the Titans’ reserves, 28-15 , led by Perdue with seven points and Bernard Manuel with six. Their late push would still not be enough to overcome the early lead built by Lorain. The Titans were led by Grant with 22 and Jackson with 11. Sledge and David Weatherington each added 10, while Pierre-Louis had nine, and Jodeci Crite ended with eight. Perdue led the Cardinals with 18, while Manuel had 12 and Tavion Bolden ended with 10. The win was a good one for the Titans, who have a tough test tomorrow as they take on the 8-5 Garfield Heights Bulldogs at 6:30 p.m on the road. As three-time defending Lake Erie League champions, the Titans weren’t looking past Friday night’s conference game. But Saturday night’s showdown is one they are looking forward to. “We’re gonna try and get the win, go make a statement and make people respect us,” Grant said.